Hope you are all having a lovely weekend! 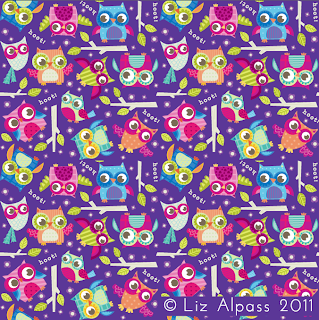 I am a little sick, so today I played on the computer and whipped up a fun, bright Owl pattern. 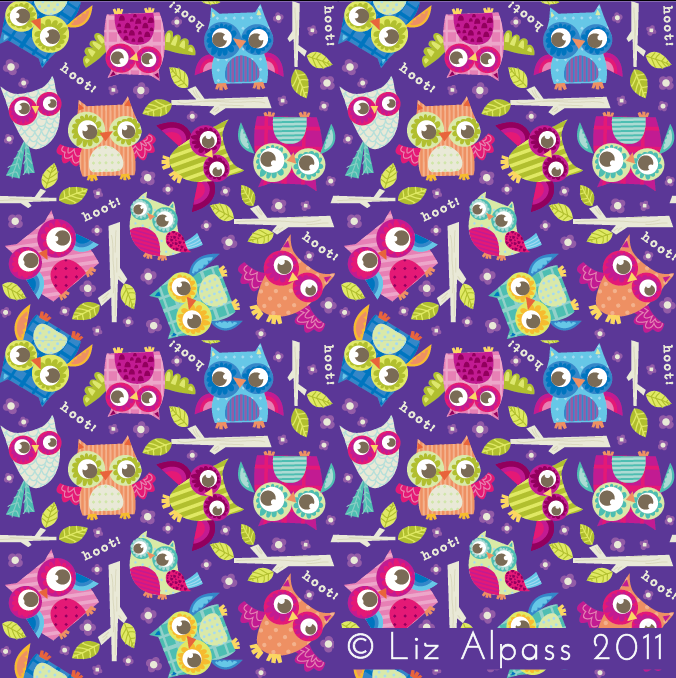 I was thinking I might get fabric made at Spoonflower for my sewing projects!!! I'm not sure what background looks best though. I think the purple works but I'm not really a purple person. I may even leave the background white - any suggestions? have you got any demo's of the white? Thanks:) they are very cute owls. Love the design. Maybe be sick more often:P so we can see your beautiful work! oft they all look fantastic. They would be beautiful as material for quilts. As for the colour of the background, if your not a purple person white looks good too. The only part you kinda loose is the tree branch slightly. Lovely design! Thanks for your feedback - I really appreciate it! 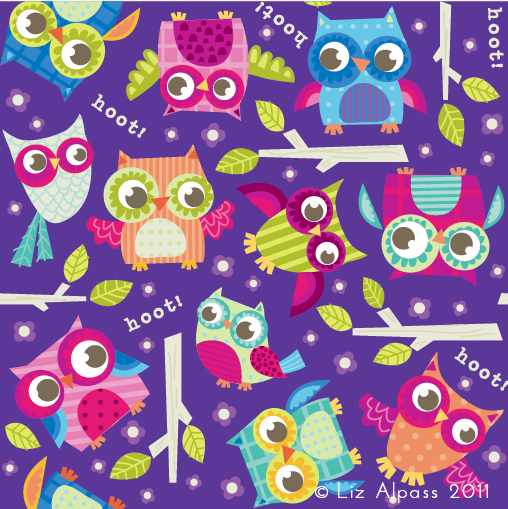 I agree about the tree branches - they need tweaking on the white background :D Maybe I will give the purple a go! 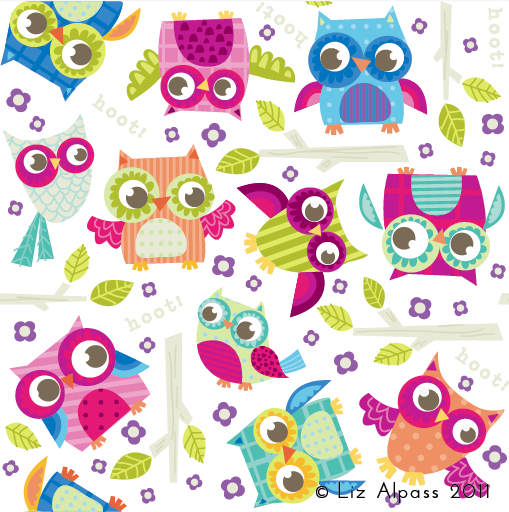 These owls are so cute. Great pattern and styling. I like the boldness of the purple background but I can see a use for the more subtle white background too. I think you will be happy with the fabric either way :) Too cute! These owlies are soooo cute Lizzle! 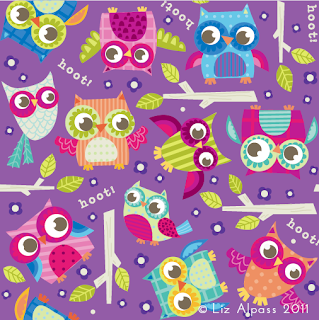 I love them, if they were I fabric I would buy some for sure. I love the white background but agree about the branches needing a colour change in order to be seen on the white. Me and my Mini ME!